Where did you get your roof rack? rambleon84 and Taz like this. Are your NT03 the hyper silver finish? I like those wheels! did you go 245 for the stretched look? or for fitment? Yes, hyper silver. Went with 245s primarily for fitment, not necessarily the stretched look. Took a drive this morning, no rubbing. 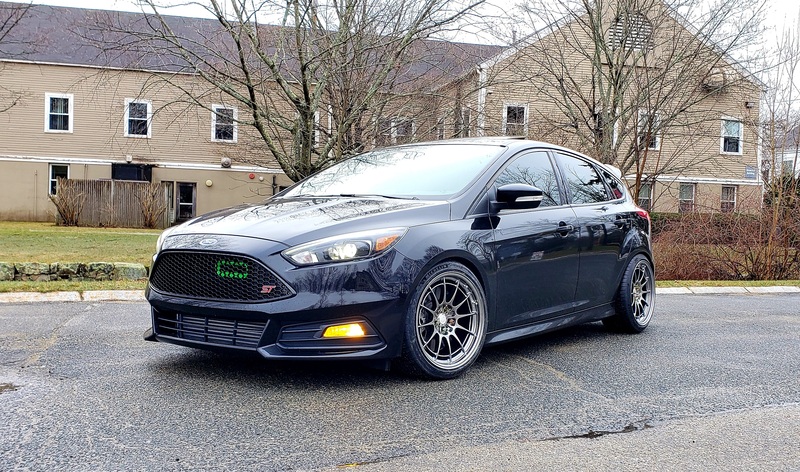 That's about the same height that I've got my ST now on its air suspension. Yep, it's even like that when the car's turned off. It could go into the arches if I wanted it to, but I hate the "pimp" look. 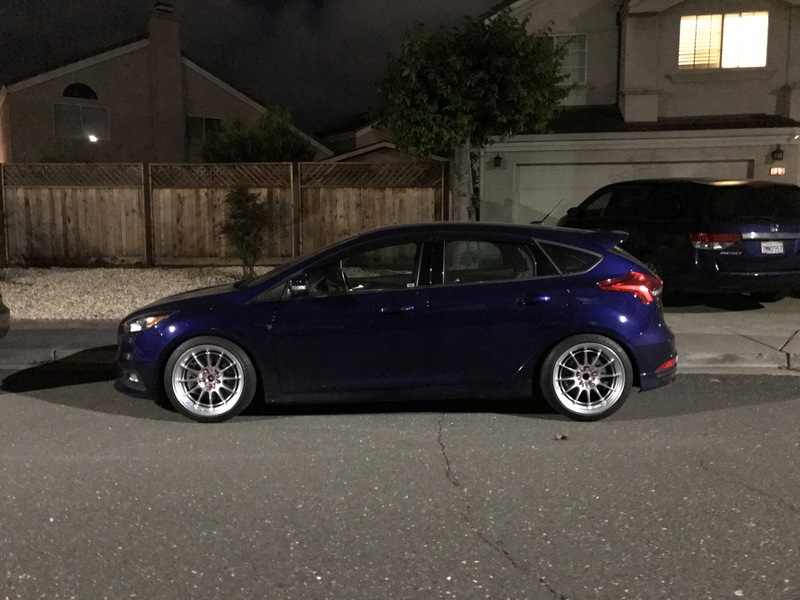 My Performance Blue ST2 Photo Shoots/Mods/General Build thread.